Practical solution for side courts or shooting stations in metal buildings. May be mounted to most straight or sloped columns with exposed flange. 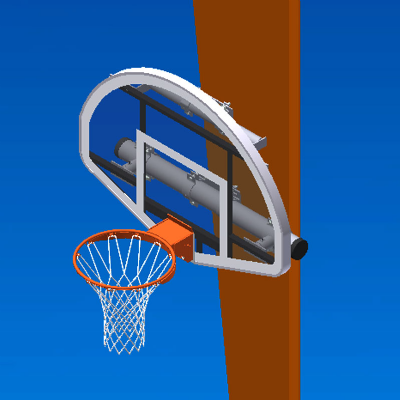 For use with Fan Shaped Backboards only. Frames have black or white powder coat finish. Other colors optionally available. 25-year limited warranty.